Our reputation of excellent service and quality since 1962 has made our team the largest manufacturer of Castings. Our foundry uses only Specified Pig Iron. Each molted ladle is tested for chemical composition to ensure required quality and test bars are casted for tensile testing. The patterns are checked at regular intervals for wear and tear. The castings after shot blast are checked for dimensional accuracy. Certain percentage of castings is tested for load bearing capacity to its breaking point. We always keep substantial margin over the minimum test load required, over and above ASTM and BSS specifications. There is complete traceability of each casting produced in the foundry. We are shipping test bars including integrated test bars as per customer’s requirement. Test bars are made of every heat and will be furnished to purchasers of casting upon request. 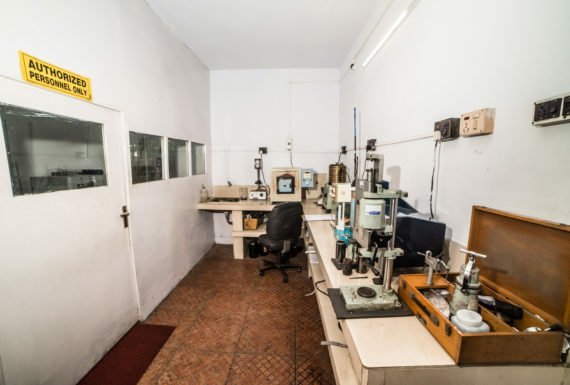 We have complete laboratory for physical and chemical test of metal and sand. All incoming Raw Materials – Metals, Coke, Sand, and stores are checked and then passed for usage. We have in-house tensile test, hardness test and transverse test machines. We also have load test machines to test upto 100 M/T of load. All the castings are guaranteed for quality. The plant is situated 1 hours drive from City of Calcutta on Highway next to River Ganges. It is spread over 10 acres land with shed area 50,000 sq. meters. The plant has its own electric generating capacity and the unit can run independent of outside electric supply. It also has its own Railway Siding. 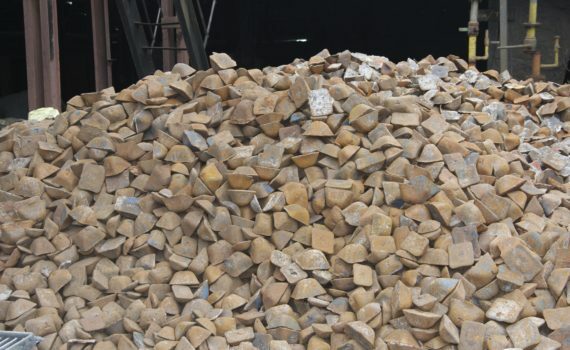 The casting are produced from cupolas and it has number of 10 M/T cranes for handling of material. We use green sand as well as dry sand moulding process for production of castings. All the castings produced are shot blasted, packed and loaded into containers in house for shipments. All government formalities are done at the plant itself and the containers sealed in the factory, so time is saved while shipping the containers. We have our own pattern shop manned by highly skilled personnel. Govind Steel Company Limited is one of the largest and leading foundry for India with an installed capacity of 24, 000 MT. © 2017. Govind Steel Company Limited.